The RaDAR-America Contest is Saturday April 6th. I plan to operate at St. Andrews State Park on Panama City Beach. The hours for RaDAR are 9 AM until 1 PM local CDT. It turns out this weekend is also the QRP ARCI Spring QSO Party. So I will try to participate in both concurrently. I'll operate pedestrian mobile for RaDAR which has an interesting twist that you must move .6 miles after making five contacts or make five contacts over the course of .6 miles. I could throw up wire antennas at each stop but I am leaning toward using the AlexLoop exclusively.So I will essentially wear the the KX3 and battery on my belt. I do plan to carry my little hunting chair. The AlexLoop is on a 4 ft fiberglass pole that has a plastic electric fence post inside which provides a spike at the bottom. Pedestrian Mobile for RaDAR is X 4 multiplier and 5 watts or less is X 6 multiplier. 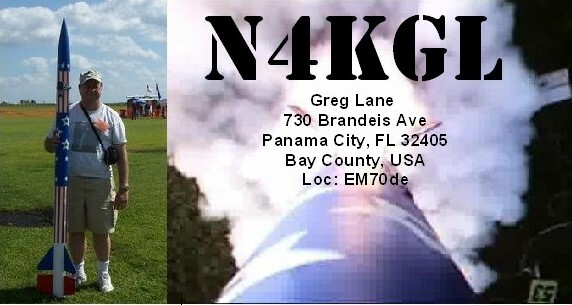 If I can work a 40 meter station less than 400 miles away it is an extra QSO point for NVIS. Bear in mind 40 meter ops with the loop is a challenge but, I have done it before. I can also get 5 bonus QSO points for a digital QSO. I plan to take advantage of the salt water effect at the park. It has plenty of beach and lagoon shoreline. There is also a pier. Pedestrian mobile for me is a physical challenge and a mental challenge "Thinking on you feet": Marching around with the loop with bags strapped on might get some looks or perhaps I'll picked up for questioning. You might see me on APRS as N4KGL-5 with my smart phone. There are some apps that can help me with distance traveled. I also plan to carry the 2 meter HT. My planned frequencies are below but hunt and pounce will be the order of the day. Anyway I am counting on good weather and good propagation. It think it is a premier weekend for portable ops so get out and operate if you can. And now for an Antenna you will really like!